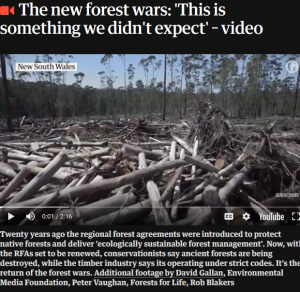 Congratulations to Guardian Australia for their excellent coverage of neglected environmental issues: 'Our Wide Brown Land'. 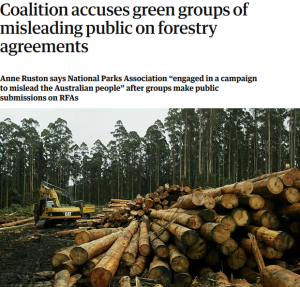 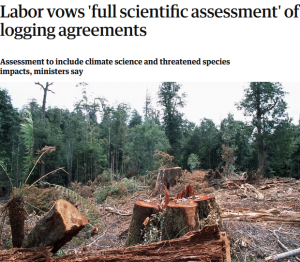 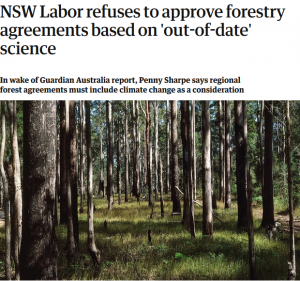 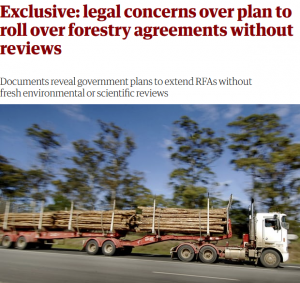 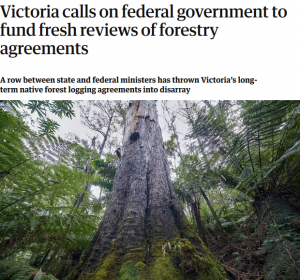 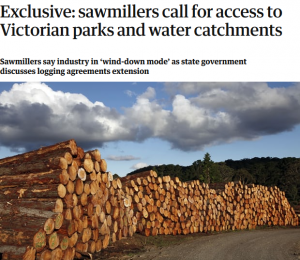 In March 2018 the focus was on logging and clearing, exposing the government's legal and political concerns about plans to extend or roll over RFAs based on outdated 20-year old science. 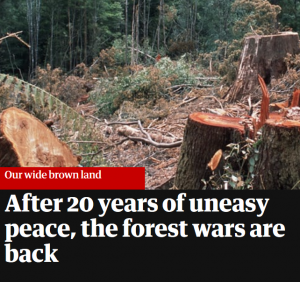 It's the first in depth reporting on the 'forest wars' for years. 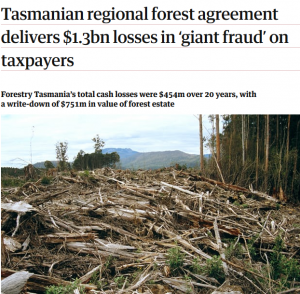 Click to read Gregg Borschmann's individual reports below or find the whole series here.